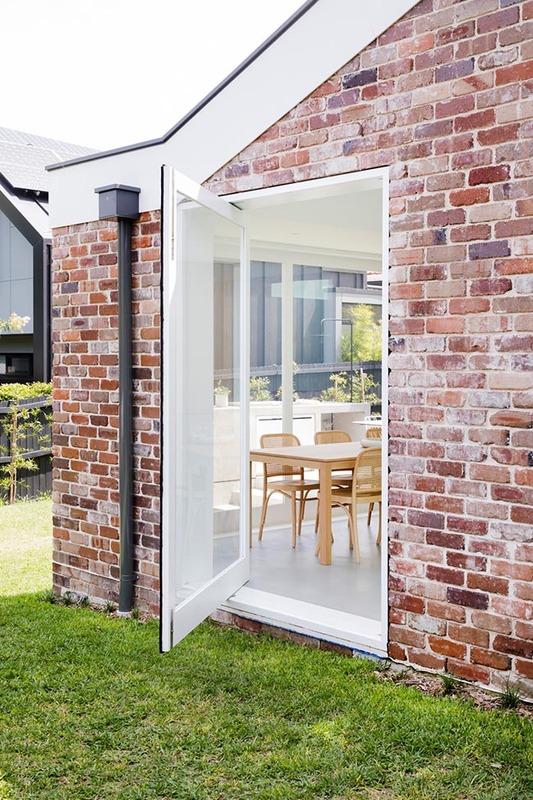 A recycled brick extension to a 1920s cottage bounces north light into the previously dark home. 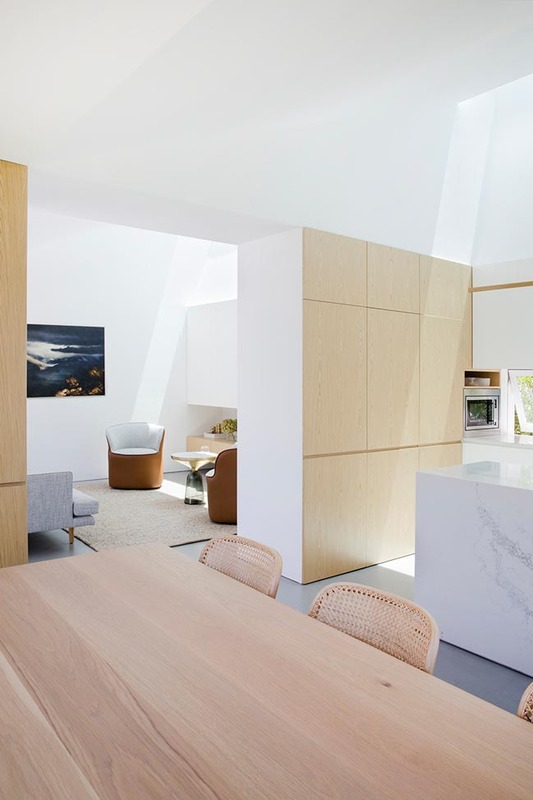 Dynamic shifts in the ceiling plane create lofty living, kitchen & dining spaces that forge a strong connection the house’s previously detached garden. 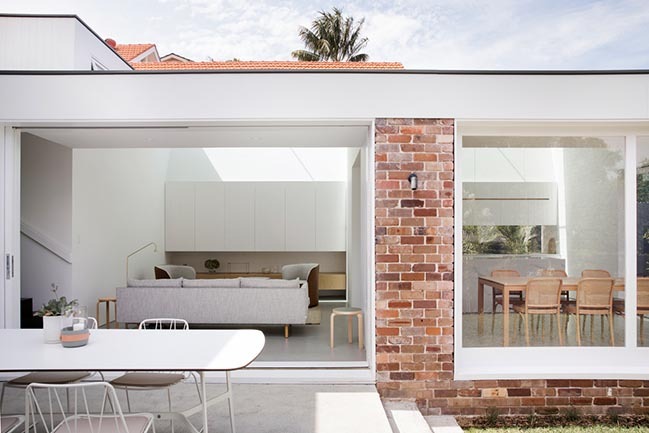 From the architect: The existing house was compromised by poorly lit interiors and the separation of living spaces and garden, half a level below. 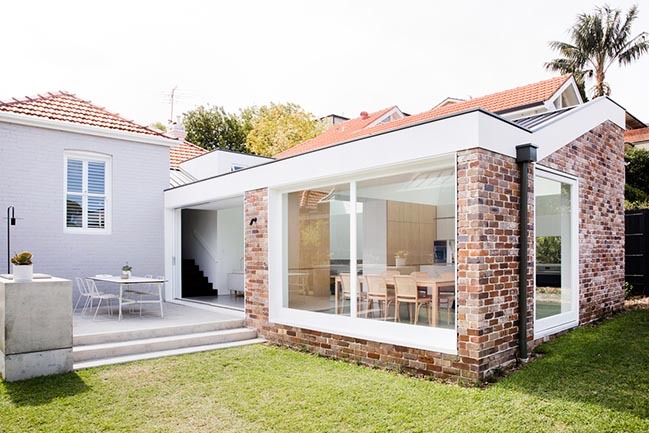 The design response maintains the original cottage and demolishes an inferior add-on. 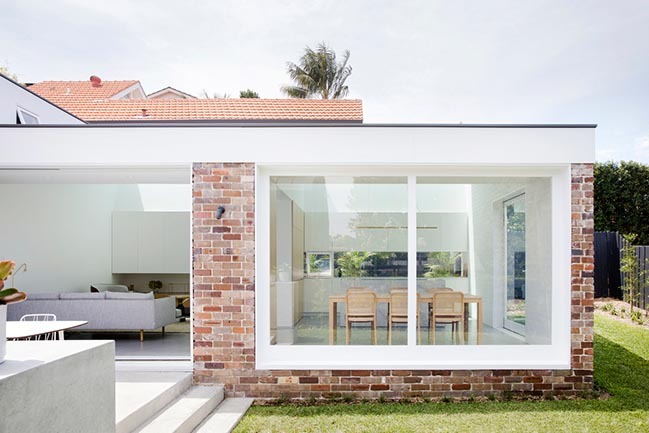 In its place, a new addition has been designed to capture natural light. 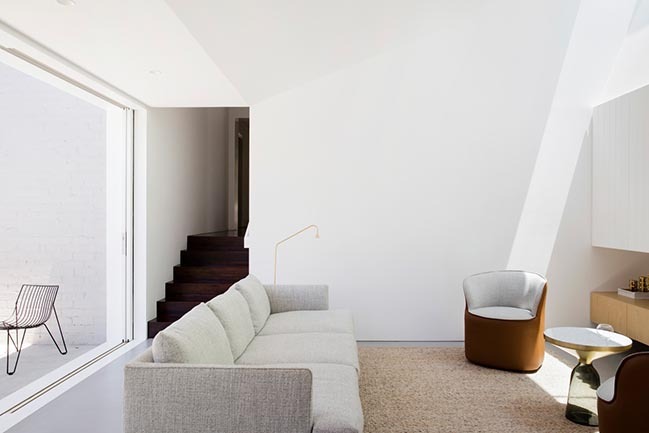 Sited on the lot’s northern boundary, the new work is designed to reduce overshadowing of the garden as well as its neighbor to the south. 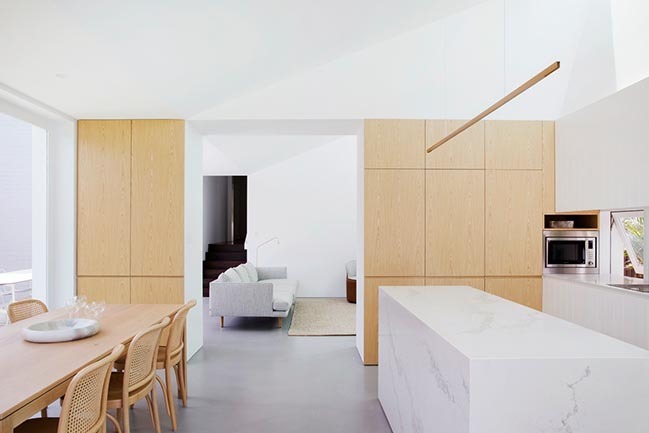 The planning of the addition creates two defined spaces for living and cooking/eating. 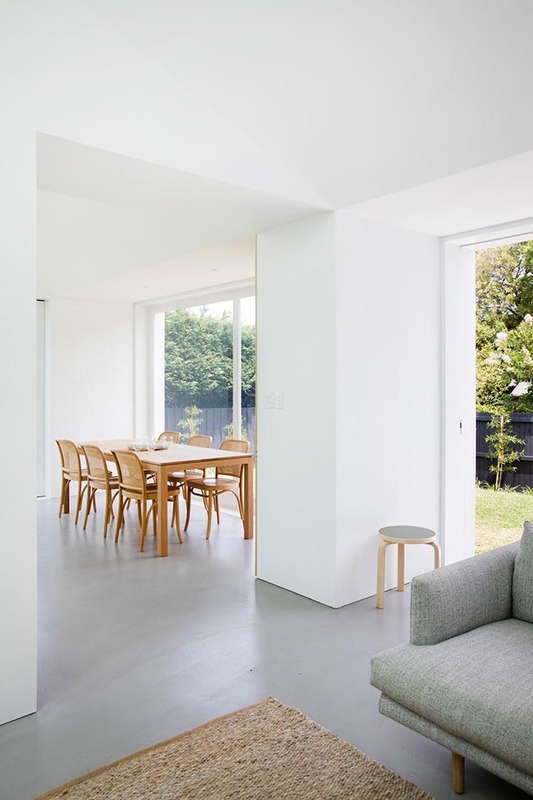 A change in level between the original and new enables a level connection to the garden. 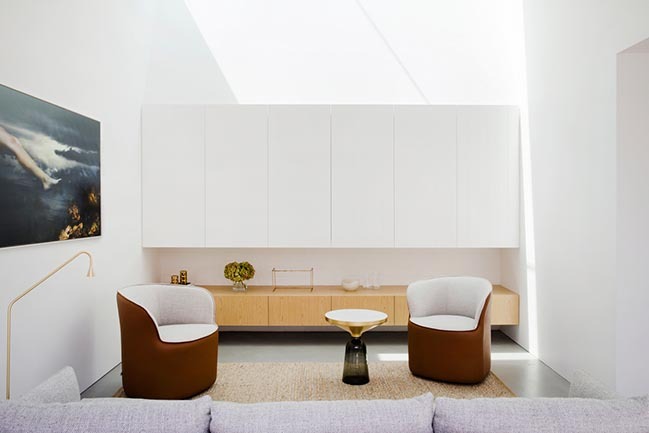 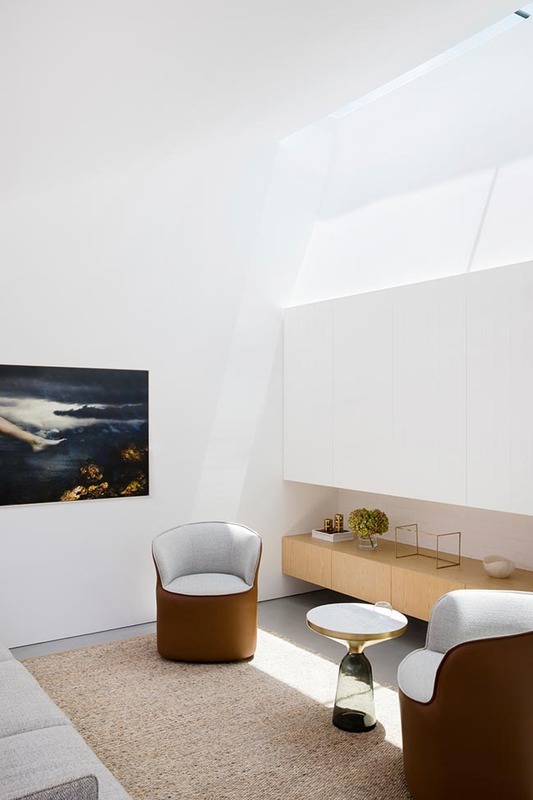 In turn, by lowering the new work and maintaining the roof line, dramatic internal volumes are created – their height emphasized by a new north-facing skylight along the full width of the addition, bathing the space in light throughout the day. 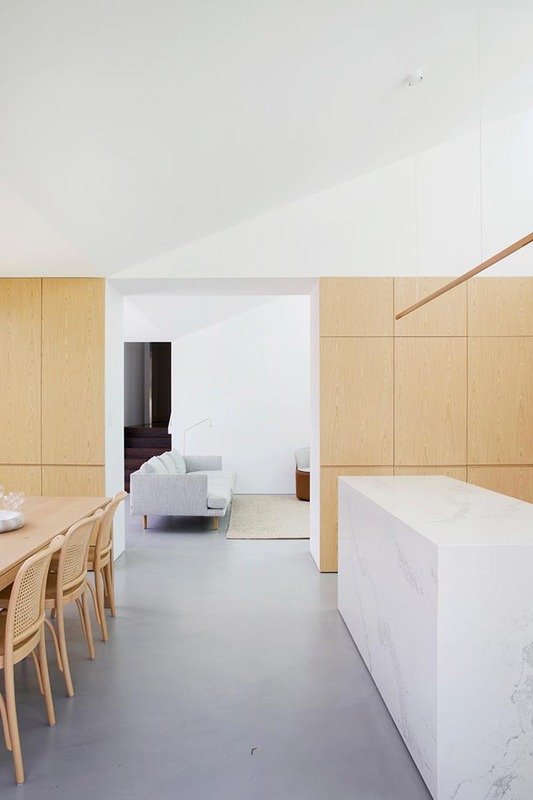 The new addition connects the existing cottage to its garden, creating a spatially rich interior that is animated by the day’s changing light. 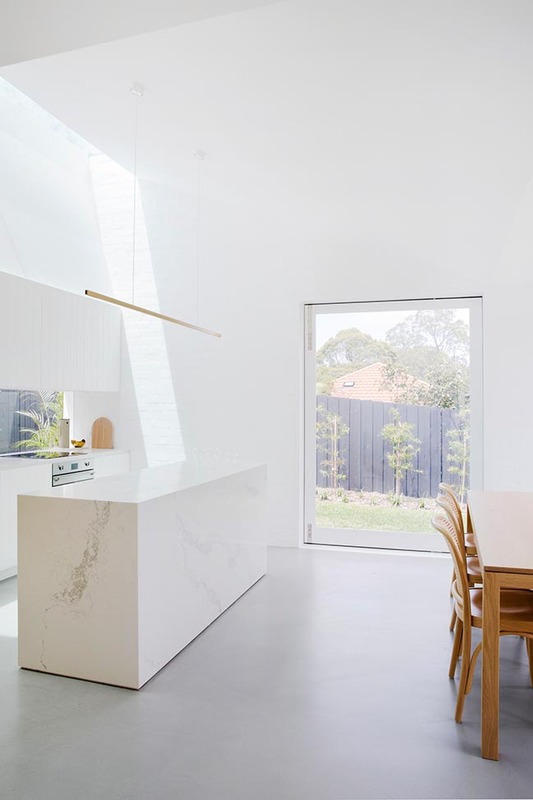 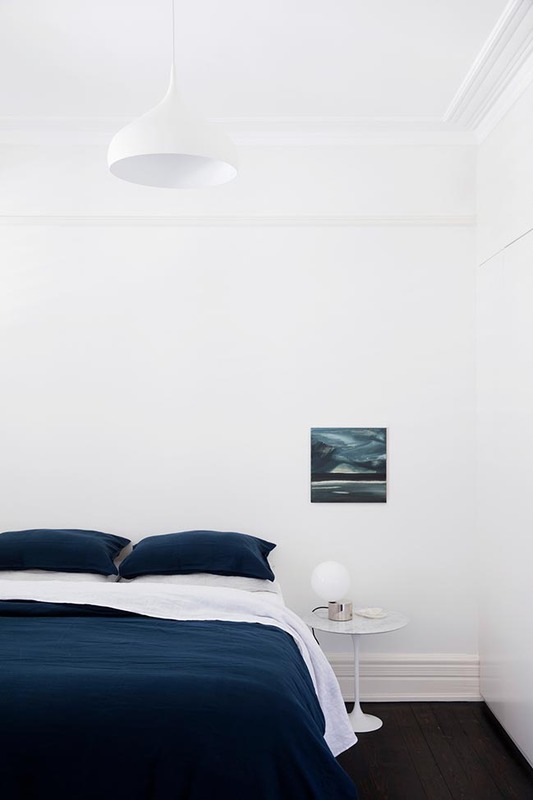 The daylight strategy works in tandem with the artificial lighting scheme. 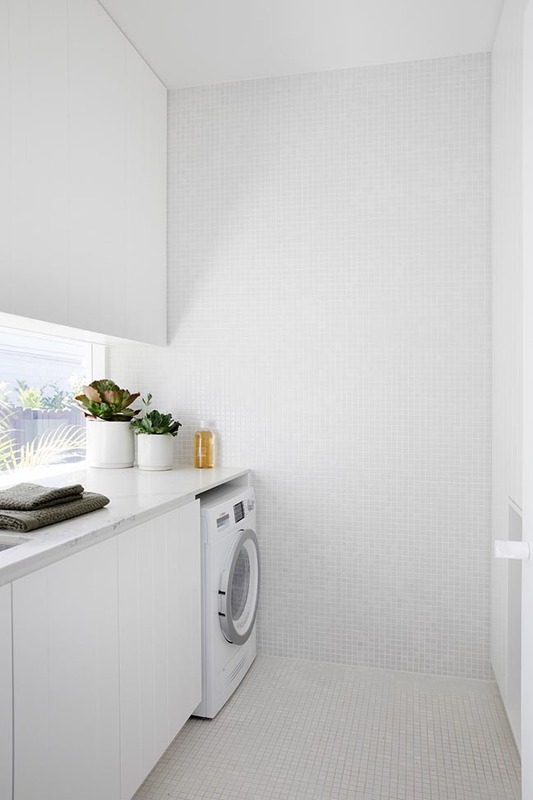 At night, LED lights concealed in the joinery wash the raking wall and ceiling. 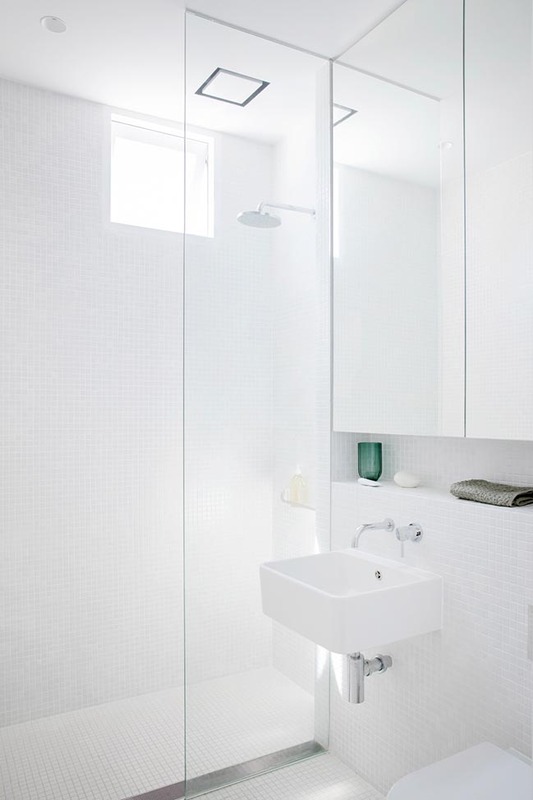 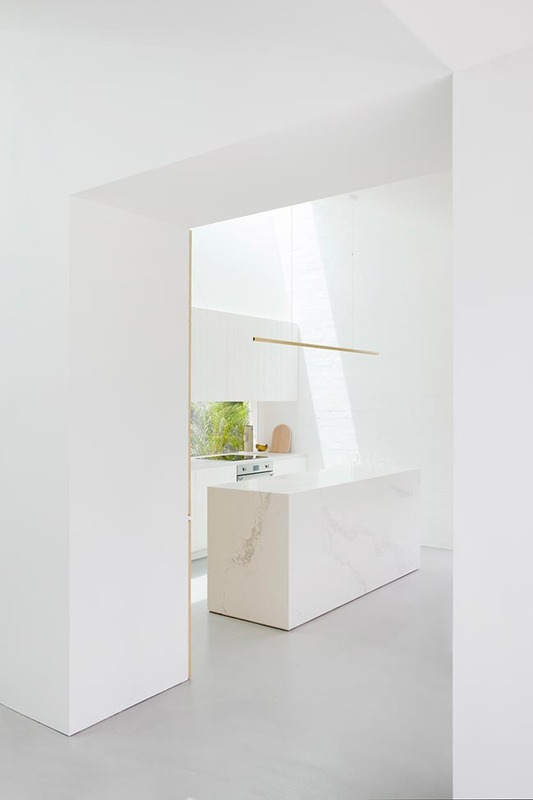 Elsewhere, the play of light on surfaces informs material choices. 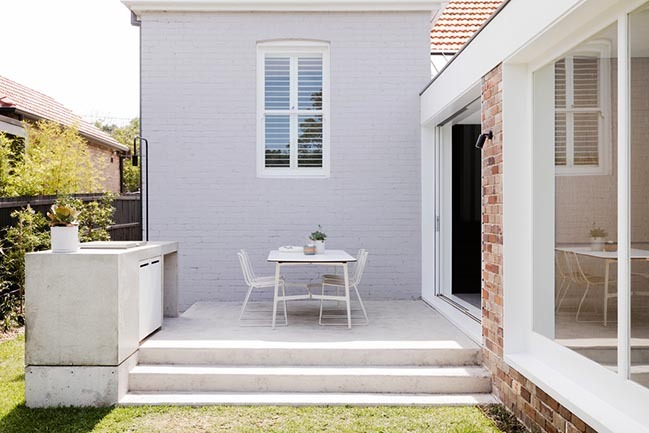 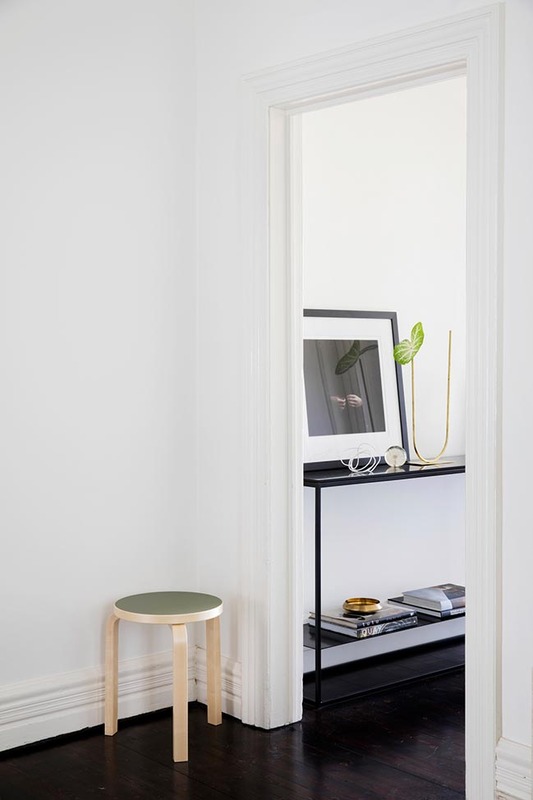 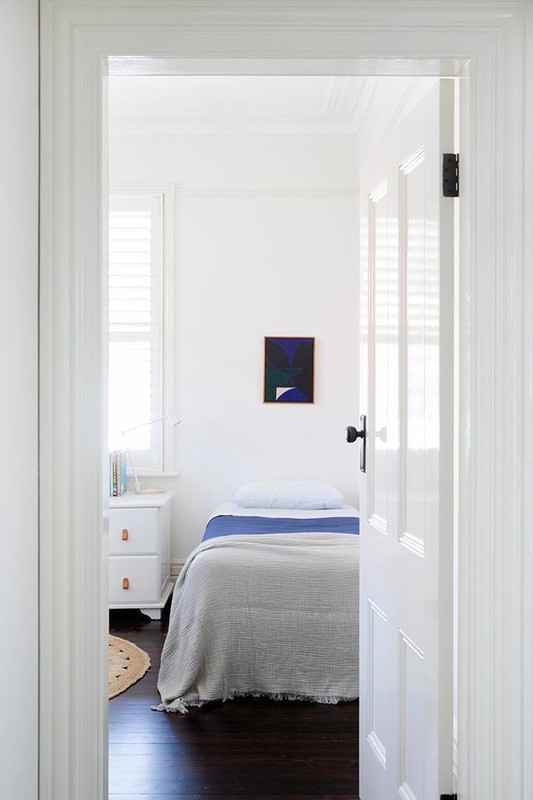 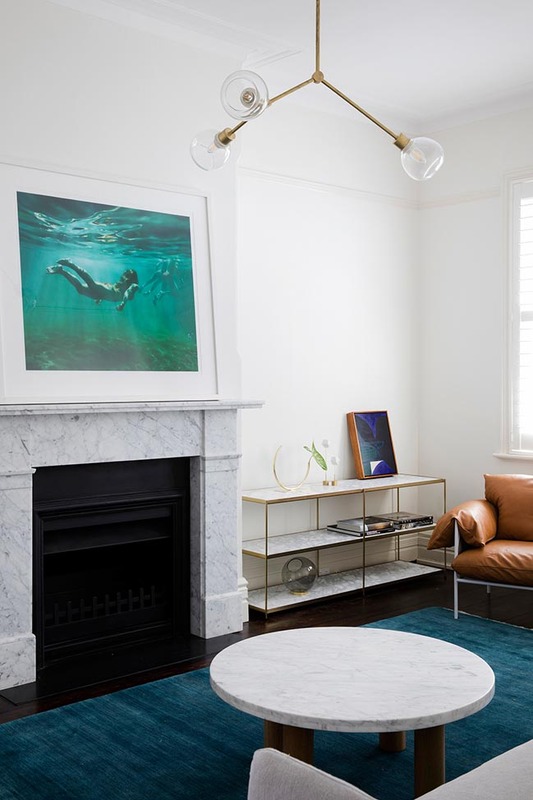 Textures of white in the painted recycled brick and grooved joinery create a dynamic and tactile quality alongside the stone and Pandomo floor. 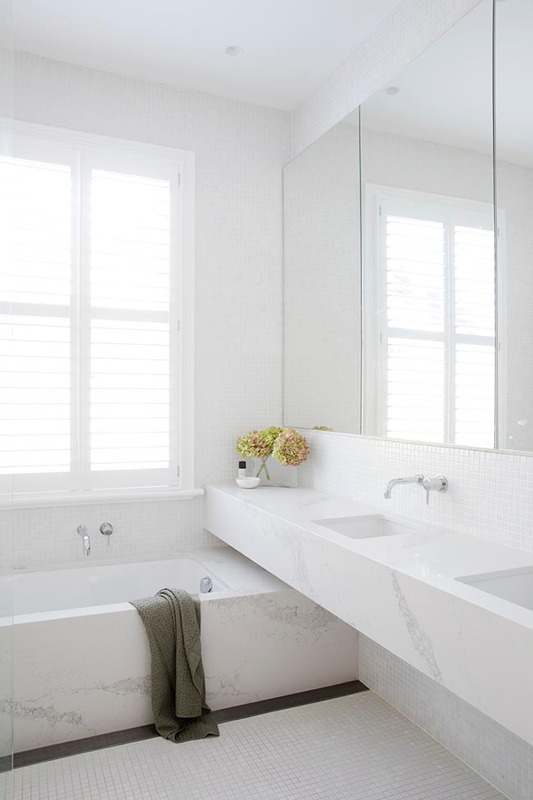 This palette of white and grey is juxtaposed by the raw warmth of the veneer joinery. 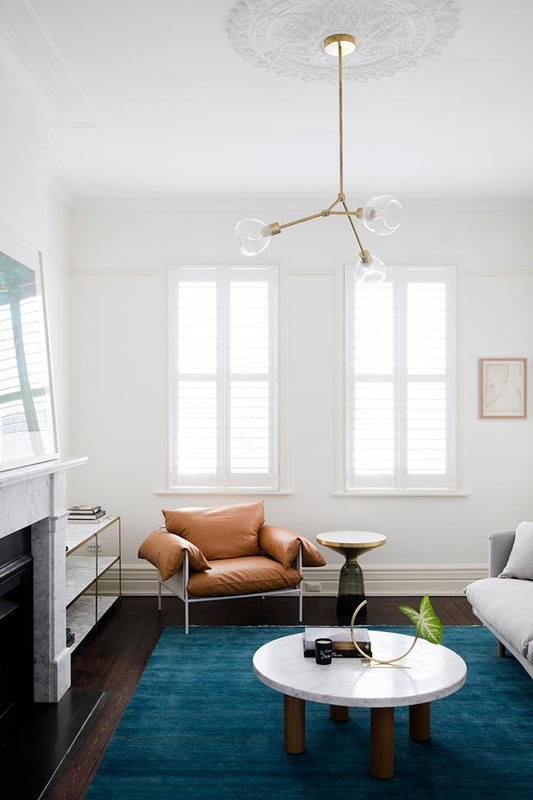 Details of brass are introduced through the lighting selection and are subtle but luxe tonal references to the timber hues. 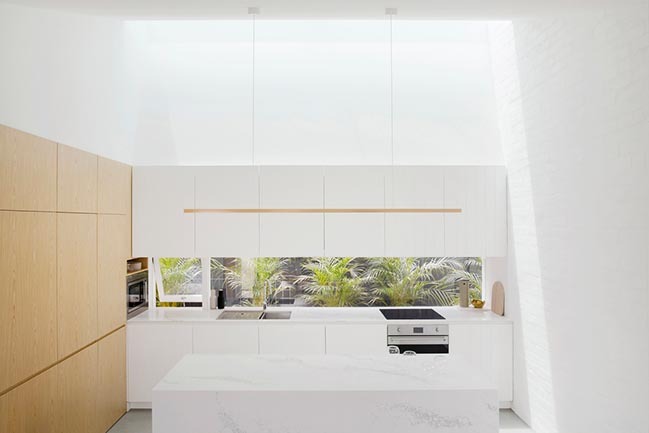 The design inventively and poetically solves the project’s twin challenges- connection to the garden and introduction of natural light – by creating a spatially rich and memorable interior. 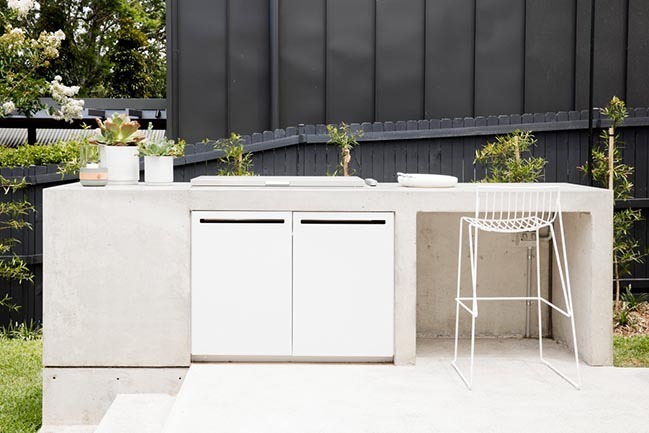 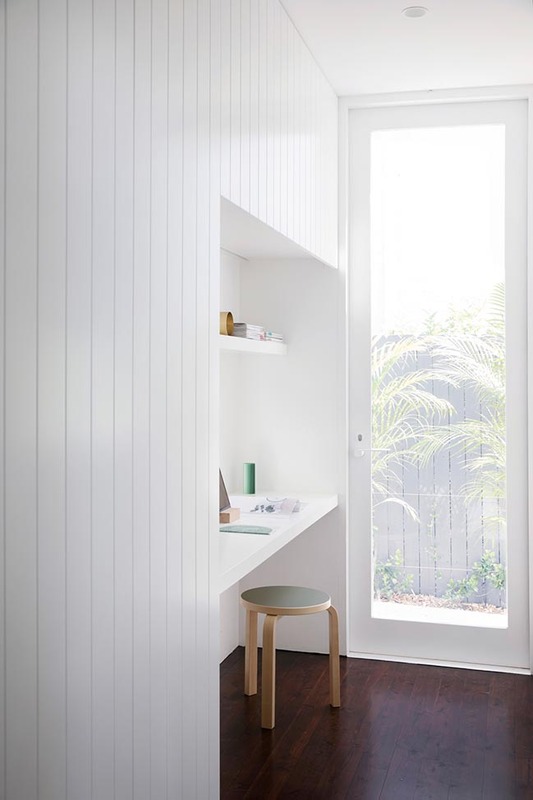 The connection to the garden allows the interior to borrow both space and colour from its surrounds to enhance the interior experience.